Whether you’re looking for a smarter way to package your products or need help managing your inventory, Jamestown Container Companies has the right packaging solutions to keep your day-to-day business operations running smoothly. We’re more than just a box company. We’re helping our customers change the way they think about packaging by delivering expert services and innovative solutions that are cost-effective, environmentally friendly, fast, and efficient. Add in our superior customer service and you’ll see why Jamestown Container Companies is the perfect partner for all of your packaging and shipping needs. At the core of our business, our expert design team specializes in bringing creative retail packaging to life, and building tough industrial packaging that will get your products where they need to go. 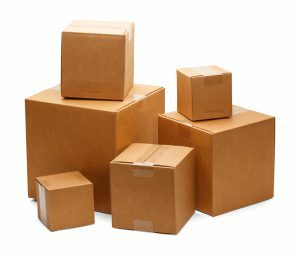 Through our online store, we can provide you with all of the stock boxes and packaging supplies your business needs. We offer a number of additional packaging services to maximize your product’s performance during handling, storage, and shipping. Along with our packaging solutions, our Buffalo facility is also a distributor of Personal Protective Equipment (PPE). Jamestown Container Companies is a certified distributor of RONCO Safety products, and we have a number of personal protective equipment products offered through our locations. Contact us today and start creating the perfect packaging solution.